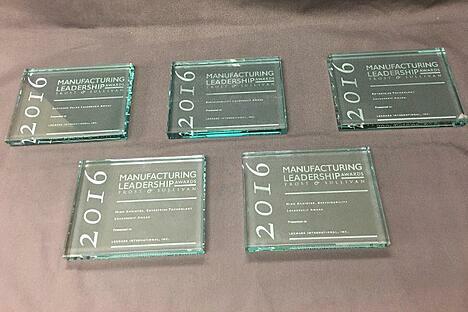 Lexmark brought home more awards than expected from the 2016 Manufacturing Leadership (ML) Awards gala. Several Lexmarkers attended the June 8 gala in Carlsbad, Calif., expecting to accept three awards based on the list that was announced earlier this year. However, the Manufacturing Leadership Council reserved some award announcements for the gala. Twelve recipients of the ML High Achiever Awards were surprised with awards — Lexmark among them. The High Achiever Awards are presented to the ML Award-winning projects that received the most votes from the judges in each of the 12 project categories. Lexmark’s other ML Award this year was in the Customer Value Leadership category (for the Customer Setup Workflow project), bringing the total to five ML awards for the company in 2016.